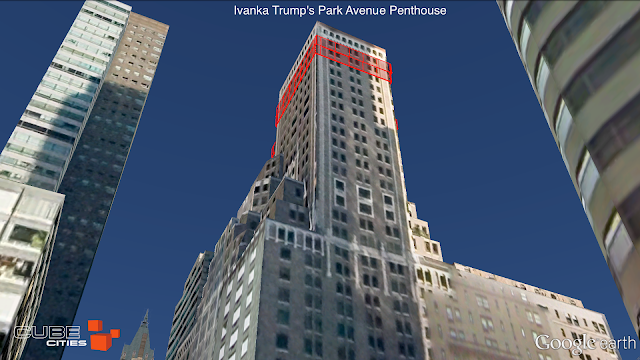 Ivanka Trump lives high above Park Avenue, her penthouse has sweeping, panoramic views of the Upper East Side. Denzel Washington and Sting both live in the same building off Broadway and West 61st Street. Denzel lives on the 24th floor and has a dramatic view of Central Park South. Sting lives thirteen floors below on number eleven, but has another apartment building blocking most of his Central Park view. 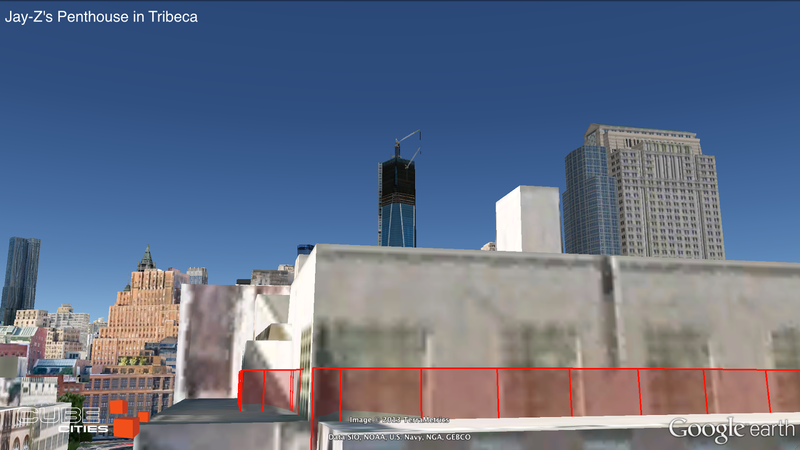 The video tour below shows off the floor locations and window views from a selection of celebrity real estate, including Jay-Z's Tribeca penthouse, Jim Carrey's property in Chelsea and Madonna's Upper East Side mansion. The Cube Cities Grids tool makes all of this possible. It's a simple way to select any floor or window in any building and share that information with direct links. Jay-Z lives above Hudson Street, he can see the construction of One World Trade Center from his rooftop.